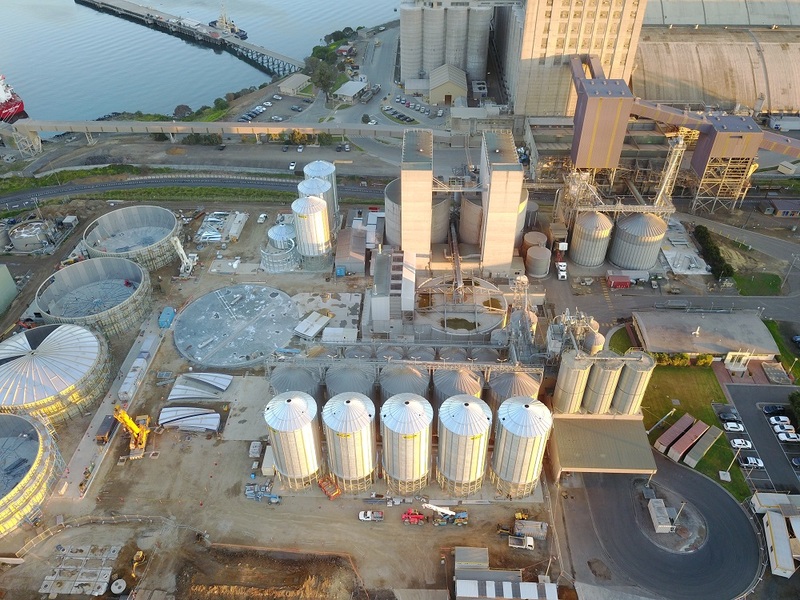 Malteurop Australia, a French-based malting plant, has just finished a major upgrade of their Geelong malting site. 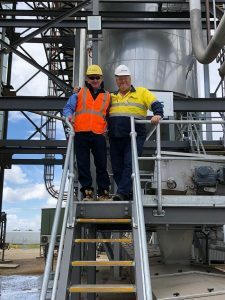 The upgrade, named Project Kardinia, is the result of a 2 year effort to extend the plant from an annual capacity of 80,000 tonnes to 200,000 tonnes per annum. This makes the Geelong malting site the largest in Australia, and Malteurop’s third largest globally. The malting site is strategically located between Port Phillip Bay, a major export gateway, and a plethora of high quality, abundant sources of malting barley. They are located on a rail, road and maritime hub, allowing growers to deliver directly to the site and making it easier to ship internationally. The extension is a response to increased demand for beer in Asia, which accounts for one third of the world’s beer market. It will strengthen Malteurop’s position in the Asia-Pacific region. “This will give Asian brewers greater opportunity to source their malt out of the Australian market,” says Trevor Perryman, Managing Director of Malteurop Australia. In October 2016, Allied Grain Systems was awarded the contract to work alongside Malteurop for the upgrade of their storage capacity over an 18 month period. The planning began, and to complicate matters the existing Malteurop malting plant would keep running, producing malt barley 24 hours per day 7 days per week. The storage upgrade had to be planned and constructed around existing day to day production and operations. This required extensive planning and coordination on all sides, aiming to execute such a large project without losing one days’ production over the 18 months. AGS designed and constructed the civil foundations for 17 silos. The foundations were a driven pile design to a depth of over 12 meters to overcome poor soil conditions encountered on-site. Over the 18 month period, AGS constructed six 1000T clean barley storage silos, five 1000 T malt barley storage silos and four 500 T barley analysis silos. Each AGS silo was commercial quality heavy duty, and individually designed to comply with all relevant Australian standards. Each silo was sealed to AS 2628-2010 and was constructed for fumigation. Back at the factory in Young, NSW, AGS designed, detail drafted and fabricated all of the associated structural steel work for the over silo walkways, support towers and access stairs. The structures were then shipped to Geelong for expert installation. As an additional project, Malteurop contracted Allied Grain Systems to complete the mechanical installation of all the major mechanical conveyors for the plant. This included bucket elevators, drag chain conveyors, belt conveyors and associated valves and control items. 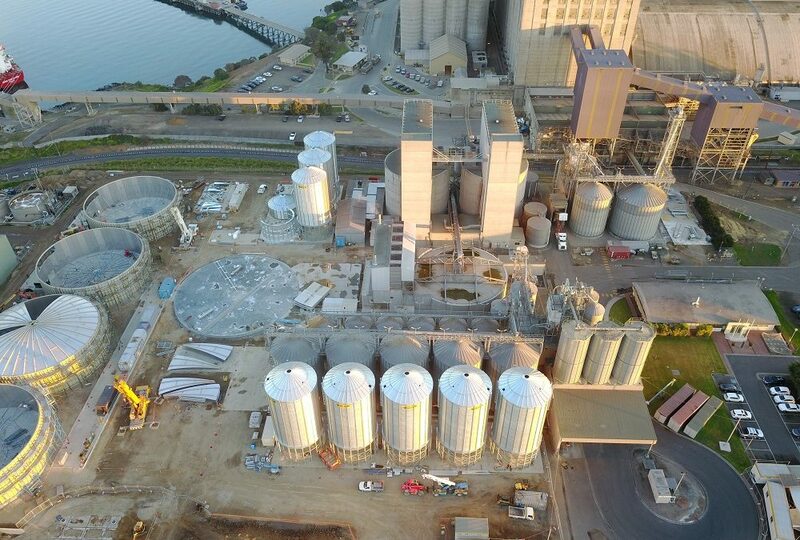 Allied Grain Systems worked alongside Malteurop for the commissioning of the new malting plant and equipment, which started up in stages over a 6 month period as each new part of the plant was completed. “The major upgrade of our Geelong site symbolised two of Malteurop’s core values, in ‘acting together’ and ‘working for the long term’. Both were shown with true professionalism by all those who worked on the project,” says Olivier Parent, CEO of Malteurop Groupe, France. Safety was the number one priority during the storage construction, which is why Allied Grain Systems completed the entire project without a minute of lost time from a safety incident. This is a credit to Allied’s dedicated construction team, who showed a strong commitment to safety and quality throughout the 18 month build. AGS Senior Construction Manager, Paul Wowk, was awarded a certificate of appreciation from Malteurop’s head office in France in September. The award recognised Paul’s valuable safety contributions and quick thinking at the Geelong site. The full plant was commissioned and in full production in September 2018. 190 service providers involved, 220,000 man-hours’ work. Allied continues to prove itself as Australia’s number one leader in grain storage solutions no matter how big or small.